The intention of this article is to provide you with two respiratory therapist cover letter examples which you will be able to download. These samples should provide you with a good template to explore how to make your cover letter stand out from other potential job candidates who are applying for the same positions. Although the healthcare field can be a challenging and rewarding environment, their strict standards can make the job search seem difficult, especially for newer job seekers. By examining the samples below, you can find out how to make your respiratory therapist cover letter stand out and earn that crucial interview. Recently, I came across the job opening on the hospital’s website for a respiratory therapist. The job opening indicated that you would only be interested in job applicants who have significant experience in the field. For this reason, I believe that I am the right respiratory therapist for your hospital. Since I obtained my bachelor’s degree in respiratory therapy from Chicago State University in 2008, I have worked steadily in positions with increasing levels of responsibility. Upon joining your staff, I would be able to bring my decade of experience and compassion for my patients to your team. Presently, I serve as the Senior Respiratory Therapist at Saint Andrews Mercy Hospital on the Eastern side of Chicago. My duties include performing diagnostic tests upon patients and performing the required physical examinations on new patients. The primary respiratory duties that I perform in my position are external cardiac massages. I use a variety of machines and technological assistance in my job, including respiratory therapy machines and the statewide patient database. As a senior staff member, I have had the opportunity to oversee a staff of 10 respiratory therapists. Among my other achievements is the ability to wean at least ten patients each year off of their mechanical ventilation. During my time at Saint Andrews Mercy Hospital, I have also been in charge of developing and implementing treatment plans that allowed other therapists to follow my lead in weaning patients from mechanical ventilation. My core skills include having an enhanced knowledge of diagnostic procedures. I am also incredibly compassionate in my handling of patients. Many of our patients are elderly and experience an increased level of frustration along with the physical complications of their medical conditions, and I believe that exhibiting compassion is a crucial component of our jobs. Additionally, my communication skills are advanced in written, oral, and interpersonal settings. I have enclosed my resume, which gives a more thorough look at my ten years of experience as a respiratory therapist. I look forward to discussing these qualifications with you in greater detail during an interview. Should you wish to contact me, I can be reached by both phone and email. Thank you for your consideration. In the past 5 years, I have had the opportunity to work with a number of children in my role as a pediatric respiratory therapist. In addition to my bachelor’s degree in respiratory therapy from North Tennessee University, I hold a license with the state of Tennessee as a registered therapist. I also hold the Certified Neonatal Respiratory Specialist certification, and hold both Basic Life Support and CPR certifications. With these experiences and educational background, I feel that I am very qualified for the position of respiratory therapist as advertised on your hospital’s website. In my most current position as a pediatric respiratory therapist, my primary job task is monitoring critical care patients who are on ventilators. I am responsible for administering artificial respiration, and when necessary, I provide external cardiac massages to patients who need it. On a regular basis, I continually check the patients’ vital signs and their blood chemistry in order to look for signs of potential changes in their medical conditions that may affect my job as their respiratory therapist. Among my chief achievements is the ability to serve as the night shift coordinator. In this position, I have overseen a staff of three additional respiratory therapists. I have also trained and served as a mentor to brand new hires in order to make sure that they can comply with our hospital’s policies and standards. My work ethic is a major skill of mine, as can be seen in my flawless attendance record for my current job, where I have worked for five years. Another very useful skill of mine is my dual fluency in both English and Spanish. My technical skills include an advanced knowledge of human anatomy and physiology, including abdominal and chest physical therapy as it relates to respiratory therapy practice. To close, I invite you to examine the resume that I have included. This resume goes into much greater detail about my strengths as a therapist and my ability to work as part of a team. Due to these factors, I believe that I will make a valuable addition to your team. Please contact me as soon as possible so that we can set up an interview. I am available to conduct the interview through Skype if it is more convenient for you. When writing a respiratory therapist cover letter, it is important to highlight both your technical skills and your soft skills. 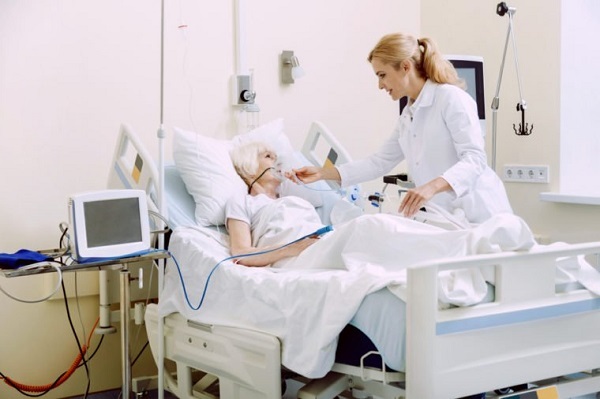 Examples of soft skills can be seen in the respiratory therapist cover letter samples included in this article, such as communication and teamwork. It’s also important to emphasize the fact that you are ready to begin work as a respiratory therapist immediately. Your hiring managers will want to see a candidate that they do not have to train on the basics of therapy. What other tips do you have for composing the best respiratory therapist cover letters to land an interview?